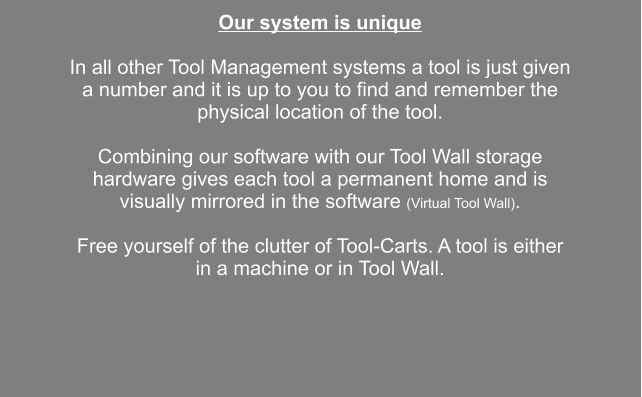 Option 1 The universal Tool Tracking Software. It requires only a minimum of data input and covers the needs of most facilities. Compatible with all machine controller types. Very user friendly and easy to implement. Upgrade to full Tool Management later. Option 2 Tool Management for shops that elected to reduce set-up time. 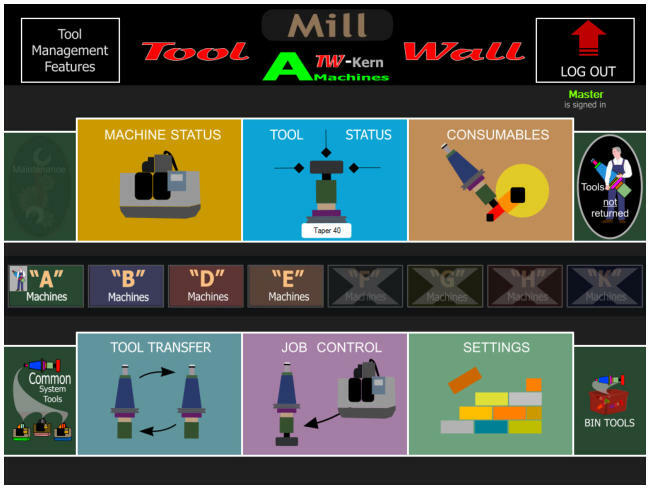 Features: Consumable Tracking, Smart Tools, Direct Machine Access, auto Set-Up options, Tool Profile, Tool Time Tracking, other production aids. This version requires more data input at the start and is compatible with Fanuc, Fadal and Haas controllers.